Q: What is your name, how old are you, where do you live? Q: What software do you record / edit with? A: I record my PC videos with DxTory for Minecraft Java Edition, & NVIDIA Share for Minecraft Bedrock Edition. I edit all of my videos & thumbnails with VEGAS 16 Suite. I live-stream with Open Broadcast Software. 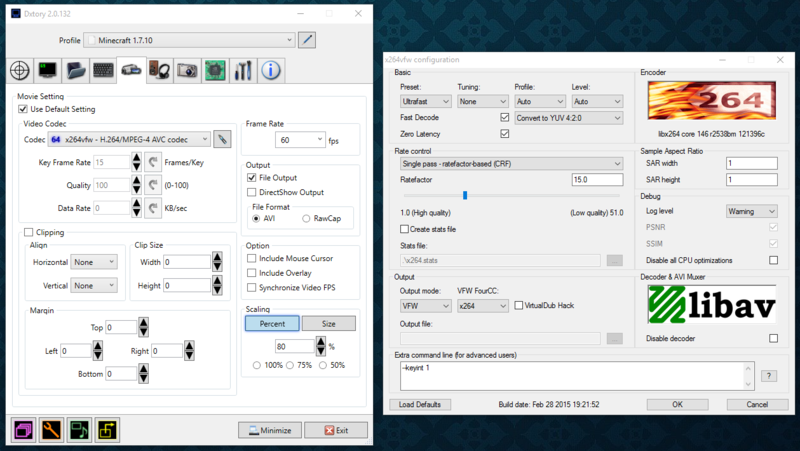 Q: Can you show me your DxTory / VEGAS 16 render settings? A: Here’s my DxTory settings. 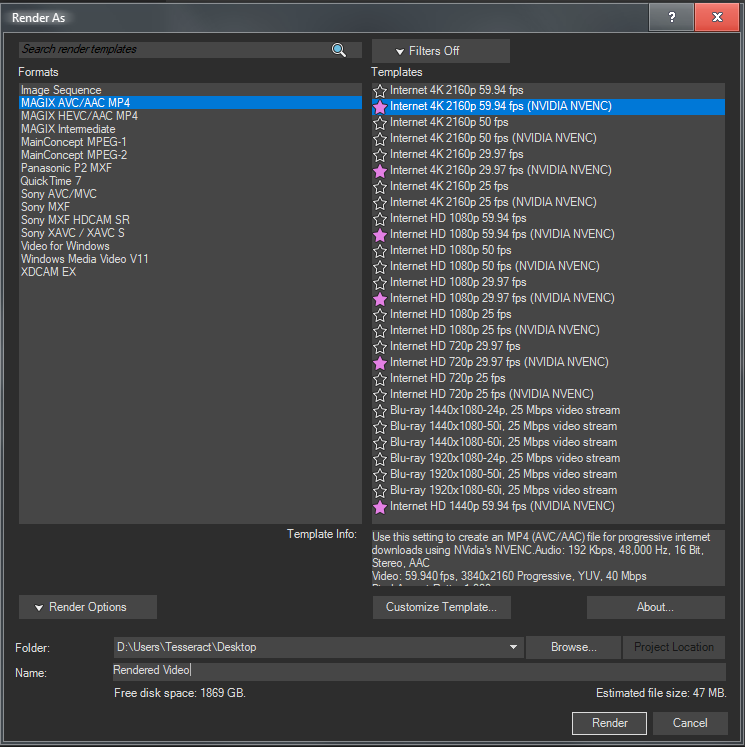 For VEGAS 16, I just use the MAGIX AVC 4k 60FPS (NVIDIA) setting. Q: Can you give me a tutorial of the programs you use? A: Unfortunately no. It would take too much time, and there exist PLENTY of good guides out there on how to use these programs. Q: What are your computer specs / what microphone do you use? A: Here’s an Imgur album I keep up to date with that information – Link. Q: Can you recommend a computer build for me / rate my PC? A: No, as this would take too much time to do individually. The LinusTechTips.com forum is a great place to go for that!